Marcus Lattimore, who was once considered the top running back prospect in college football, is weighing whether or not to retire from the NFL without having ever played in a game. One ESPN source says Lattimore will indeed retire. 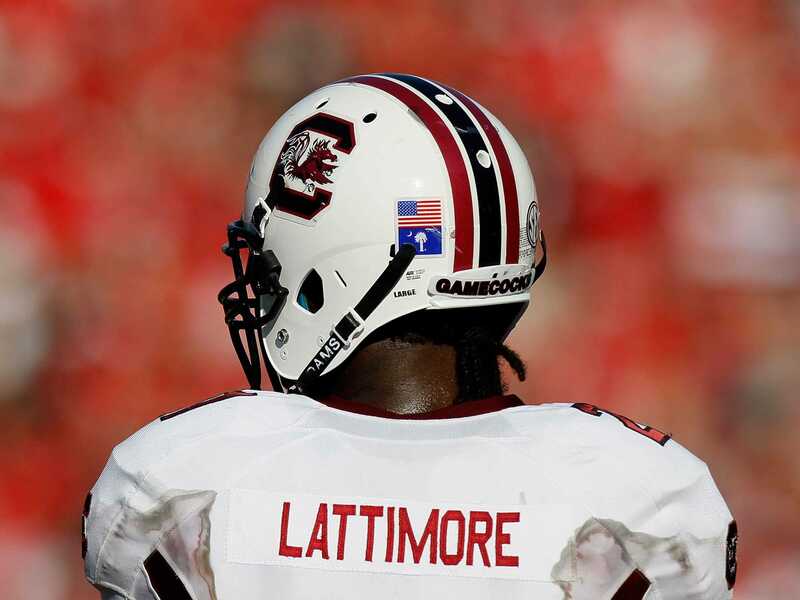 As a junior at the University of South Carolina in 2012, Lattimore suffered a devastating knee injury that tore every ligament in his right knee. 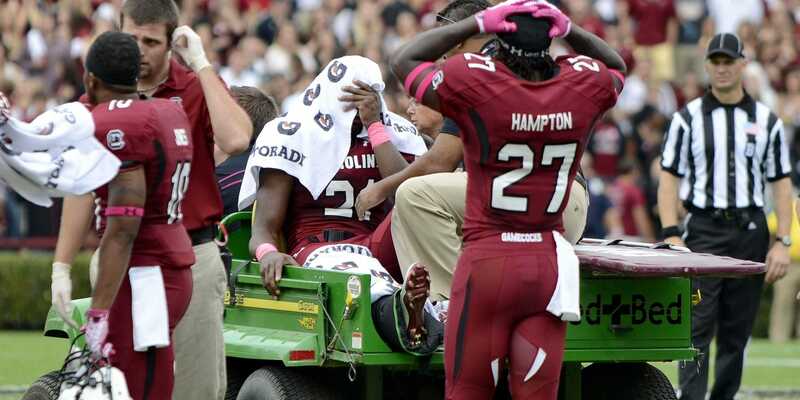 That injury proved costly to Lattimore and shows just how much risk college football players are taking. Prior to his injury, Lattimore was considered the top running back prospect in college football and was projected to be a first-round pick in the 2013 NFL Draft. 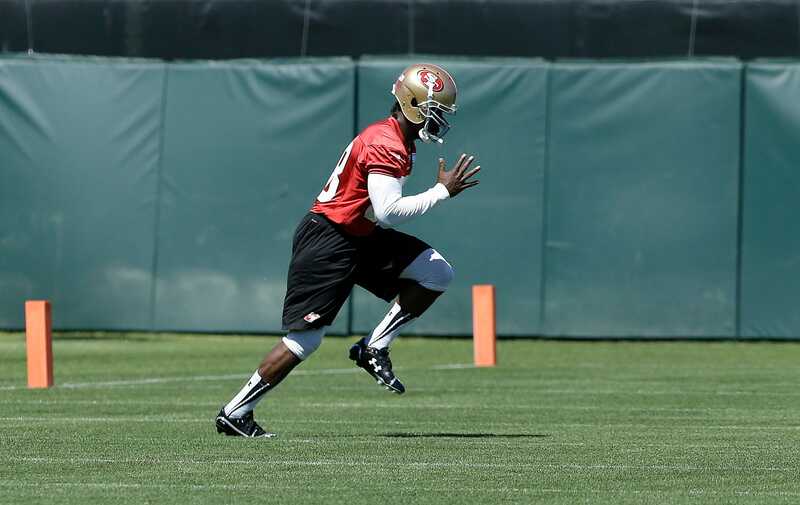 Instead, with the injured knee, Lattimore fell to the fourth round where he was taken by the San Francisco 49ers. Prior to the injury, ESPN.com had Lattimore ranked as the 21st best prospect for the 2013 draft. Tight end Tyler Eifert was eventually taken as the 21st pick in the draft. He signed a 4-year, $US8.3 million contract with a $US4.4 million signing bonus and another $US3.1 million in guaranteed salaries. 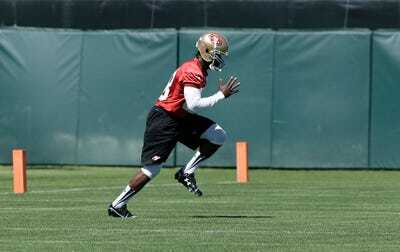 Instead, as a fourth-round pick, Lattimore was given a 4-year, $US2.5 million contract with only $US301,000 guaranteed. Jeff Chiu/APLattimore had recently started practicing with the 49ers but was still having issues with his surgically-repaired knee. Since Lattimore’s injury did not happen while playing in the NFL, the 49ers were able to place the running back on the non-football injury list for the 2013 and 2014 seasons. This is important because it meant the 49ers were only obligated to pay Lattimore his $US301,000 signing bonus and did not have to pay his $US405,000 salary last year or his $US420,000 salary this year. Lattimore was eligible in college for insurance that would have paid him up to $US5 million in the event of a career-ending injury but it is unclear if he was enrolled in the program. But even if he was enrolled at the maximum level, the injury still cost him millions and his NFL career.